It is a part of human nature to second guess yourself, to doubt a decision that you make at any given time when presented with new information. However, doubt may result in our demise. 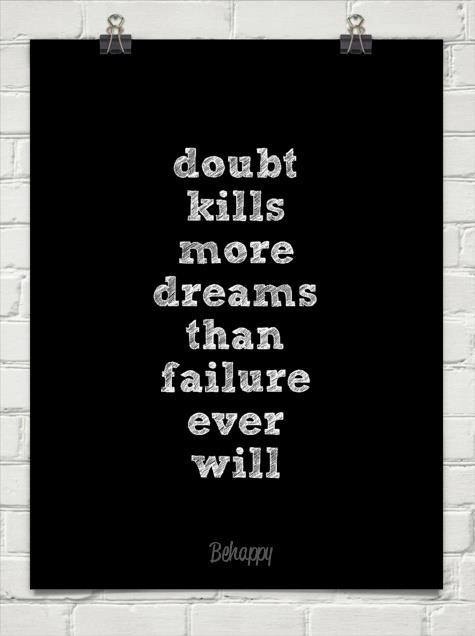 Personally, I think the fear of failing and the doubt that creeps behind us constantly keeps many of us away from our dreams and goals and, consequently, our success. In the end, I think the moral of the story is to always believe in yourself, and don’t second guess yourself too much. Believing in yourself creates this confidence within yourself, especially when you actually take the chance and succeed. Believe in yourself, because if you don’t, don’t count on anyone else believing in you either.